Is the collapse of Flipkart-Snapdeal merger a lose-lose for everyone? After six months of excruciating boardroom discussions that saw several twists and turns, e-commerce companies Flipkart and Snapdeal finally called off their merger talks earlier this week. The irreconcilable differences between Snapdeal's biggest investor SoftBank, which orchestrated the deal, founders Kunal Bahl and Rohit Bansal, early investors Kalaari Capital and Nexus Venture, and even minority investors like PremjiInvest suggested the merger would have brought glad tidings for some and, perhaps, a raw deal for others. On the flip side, the coming unstuck of the merger will be a setback for most parties involved, a closer look suggests. Here's a peek at what the major stakeholders stand to lose. The collapse of the merger talks will force SoftBank and Flipkart's biggest backer Tiger Global to go back to the drawing board. SoftBank was eyeing a stake in Flipkart through the sale of Snapdeal and infusion of an additional sum of money. Now that the all-stock deal has fallen through, it will have to fork out a sizeable sum for a substantial stake in Flipkart. On Tuesday, Reuters reported that talks were already underway for a $2-billion investment in Flipkart. Tiger Global, which was looking for a partial exit from Flipkart via the merger, is believed to have reached an understanding with SoftBank for sale of a part of its stake in the company. However, those plans face a hiccup now and may be slightly delayed as the merger, on which everything hinged, has come a cropper. If Flipkart had acquired Snapdeal at a valuation of $900 million, as reported by most media, founders Kunal Bahl and Rohit Bansal would have made Rs 235 crore and Rs 146 crore, respectively, from the transaction. Bansal holds 2.53% stake in the company while Bahl has 4.08%. That would have taken Bahl's total payout from stake sales in Snapdeal to Rs 341 crore while Bansal would have garnered Rs 252 crore. Now, however, they will have to be content with the Rs 106 crore that each of them has amassed from share sales over the years. “They [co-founders] have taken a daring decision. But would they be able to turn Snapdeal into a profitable company? The ultimate losers and winners will be known after the final outcome. I would not say they have lost because they will have a good exit anyway as they are minority shareholders,” says Devendra Agrawal, founder of investment bank Dexter Capital Advisors. 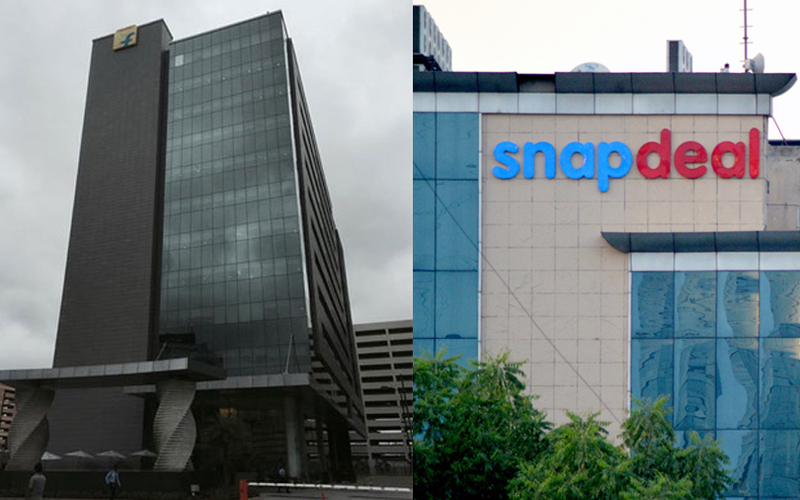 Certain media reports had said in May that the duo will give half of its payout from the merger towards a Rs 193-crore scheme that intended to cover all current employees of Snapdeal. It could be not ascertained as to what's the latest on this. The merger's collapse will deal a hefty blow to Snapdeal's early investor Kalaari Capital. On a total investment of Rs 136 crore in the e-tailer, it has so far made a measly Rs 216 crore through partial exits by its two funds. A full exit at $900-million valuation would have taken its total payout (including Rs 216 crore) to a handsome Rs 680 crore, exactly five times its total investment. That would have meant an estimated internal rate of return (IRR) of close to 40% after nearly eight years of investment. Venture capital investors typically target an IRR of about 20-30% while ambitiously eyeing 10-30 times return on a few investments to make up for failed bets. Reportedly, Kalaari would have also received a special payout if the merger went through. “Nexus and Kalaari are certainly at loss, because they were getting a pretty decent exit. They had negotiated for it. However, whether it will [staying invested] will turn into a future win will depend on Snapdeal’s future performance,” Agrawal adds. Nexus Venture, another early investor in the troubled online marketplace, has invested a total of Rs 210 crore in the firm between 2011 and 2014, picking up around 10%. It has not sold its stake till date. Had the Flipkart-Snapdeal deal gone through at a presumed valuation of $900 million, Nexus would have made Rs 587 crore, posting an estimated IRR of over 25% on its six-year-old bet. Though a modest almost-three-times return, it would have meant a decent exit alright. Now, Nexus must stay put. "Nexus, as a long-term Snapdeal shareholder, fully supports the Snapdeal 2.0 journey. We will continue to partner with the company to help achieve its goals," it said in an official statement. Anup Jain, managing partner at consumer and retail consultancy Redback Advisory, says everyone wanted a good exit, but perhaps the investors were not very happy with what they were getting. “Snapdeal got some money through the FreeCharge [Snapdeal subsidiary] sale. That gave them some confidence that they can stay afloat. But you would need money again. So, when the money runs out, there is a chance that they will be back on the table,” he explains. For both Kalaari and Nexus, Snapdeal could have been a multi-bagger had they offloaded their stake when the e-tailer’s valuation skyrocketed to $6.5 billion. Even after its fortunes plummeted, an exit would have meant respectable, if not stellar, returns. Now, how their investments will pan out is anyone's guess. Experts, however, are not writing off Snapdeal 2.0 or returns from investments in the company just yet. A successful execution of the much-touted true marketplace model, among many other challenges, will determine if investors and founders' faith in the company is repaid. For now, they would do well to remember that there is many a slip between the cup and the lip.